Natural De-Shedding shampoo by Envirogroom will detangle, release and remove loose hair and undercoat reducing stress on the pet from time spent brushing and blow drying. This premium hypoallergenic formulation will leave all coat types conditioned and silky smooth. Vitamin and protein enriched and made with real natural ingredients with no unnecessary additives or thickeners, providing professional results with a clean and manageable coat. 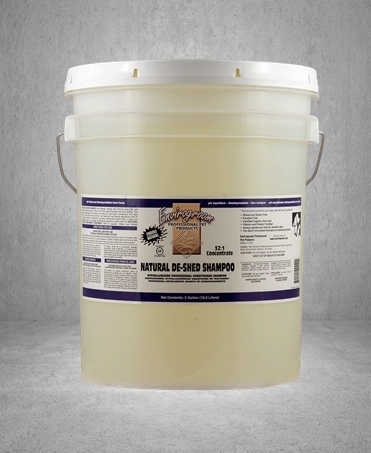 Plant derived conditioning shampoo with aloe, Panthenol, Jojoba, Shea Butter, Burdock Root, Vitamin E, Soy protein.